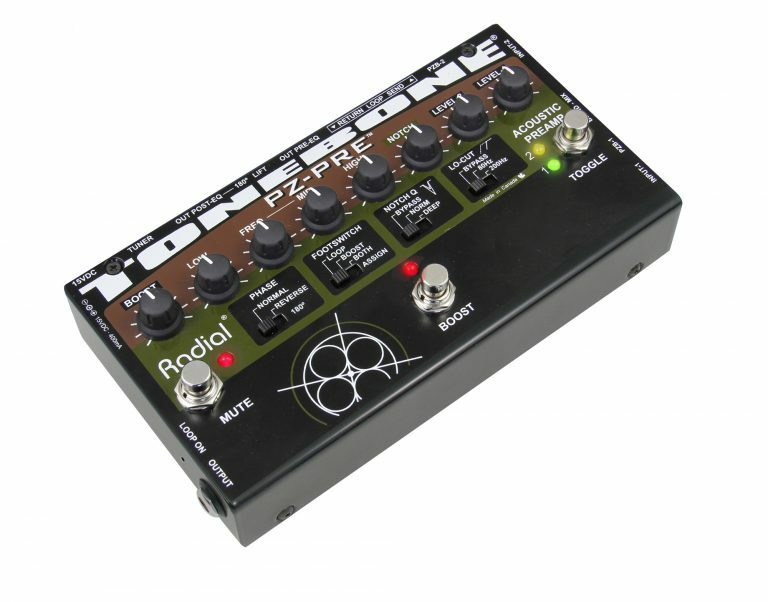 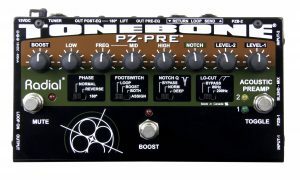 The Tonebone PZ-Pre is a powerful acoustic instrument preamplifier with a powerful EQ and feedback control section and loads of connectivity options giving you complete control over your rig. 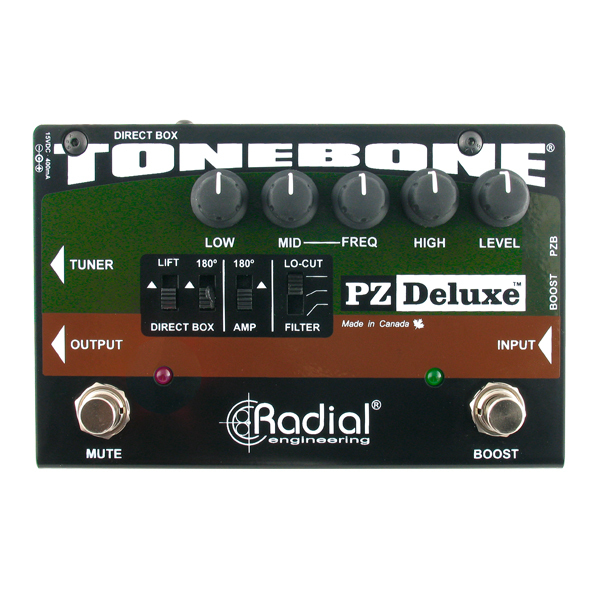 The Radial Tonebone PZ-Pre™ is a powerful acoustic instrument preamplifier. The magic lies in the combination of high performance 100% discrete class-A PZB piezo boosters, an ultra-quiet preamp circuit that will adapt to any pickup system and a host of connectivity options that will put you in total control. 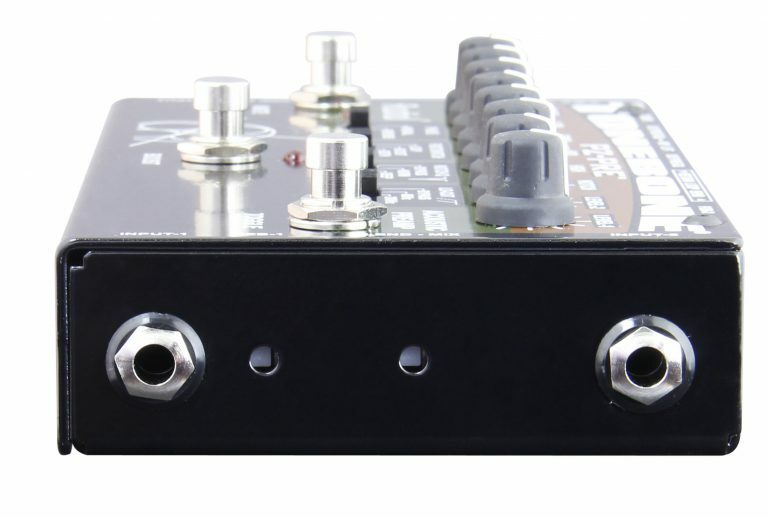 The PZ-Pre is equipped with two inputs for quick instrument changes on stage, or, for blending two pickups together. Powerful semi-parametric EQ and feedback eliminating controls allow the user to fine-tune their sound while eliminating troublesome frequencies. 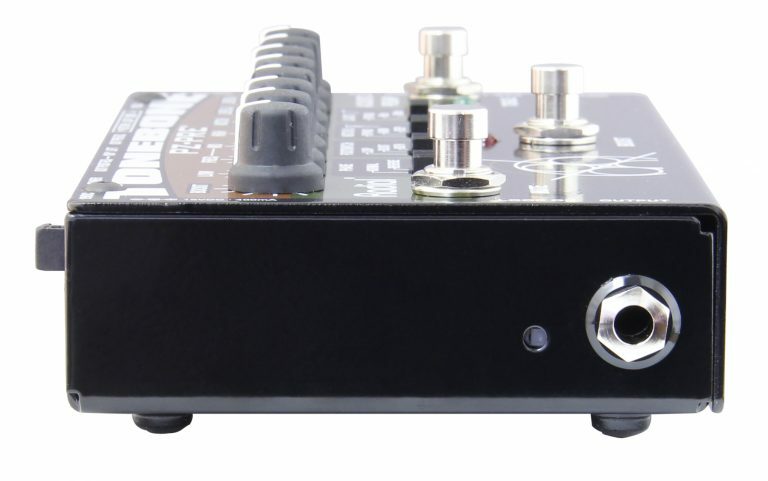 Offering both pre and post EQ direct box outputs, the PZ-Pre can be used send a dry signal to the house and performer tailored sound to monitors. The PZ-Pre is the perfect stage partner for switching between two acoustics. 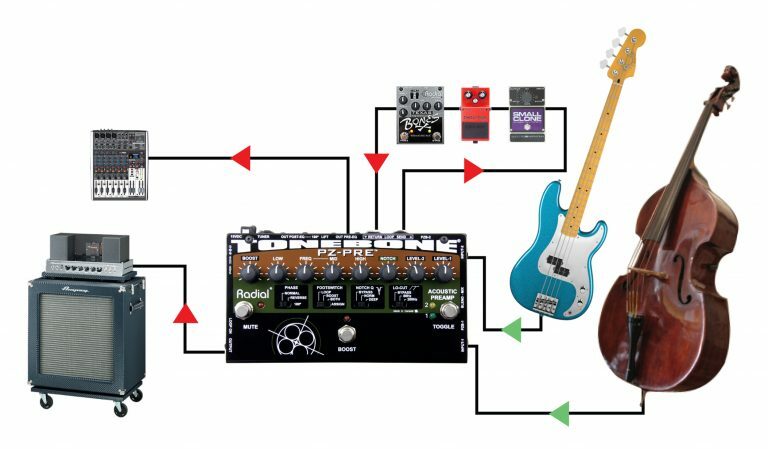 You can have one for backup, alternate tuning or switch from 6-string to 12-string with ease. Switch between contrabass and electric or acoustic bass with a simple foot stomp! 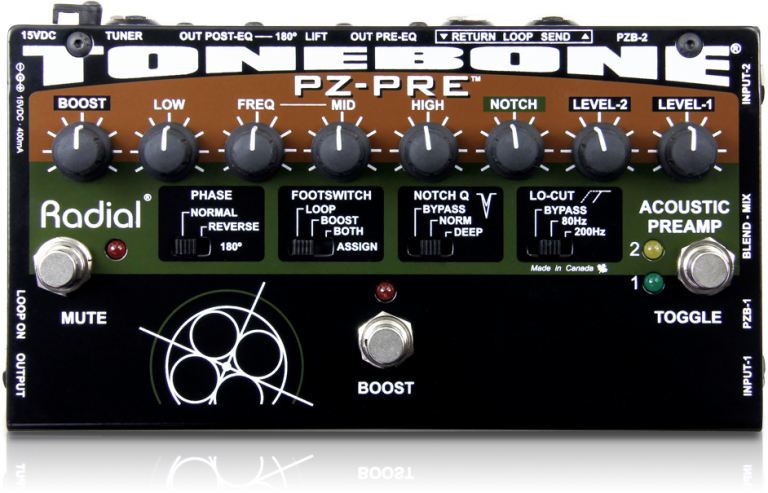 The PZ-Pre's input is easily optimized to work with finicky piezo pickups for a deeper, more natural tone. 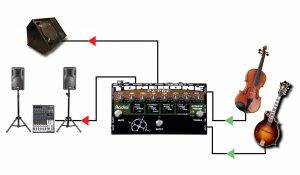 Using the PZ-Pre with a piezo transducer will give you more gain before feedback than a microphone. 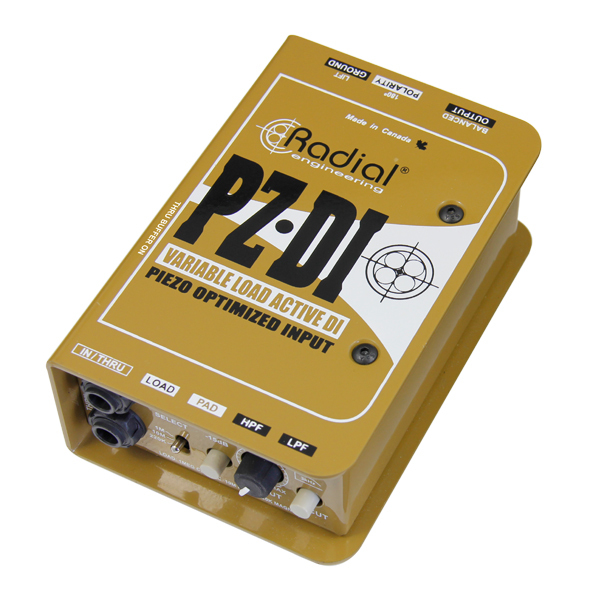 You will be surprised at how good a piezo can sound when connected to a PZ-Pre! 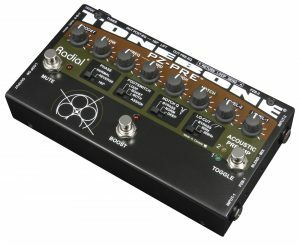 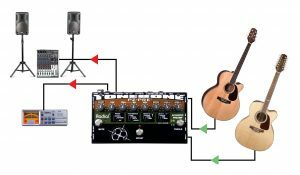 "The most essential piece of Radial gear we carry is the Tonebone PZ-Pre acoustic guitar preamp." 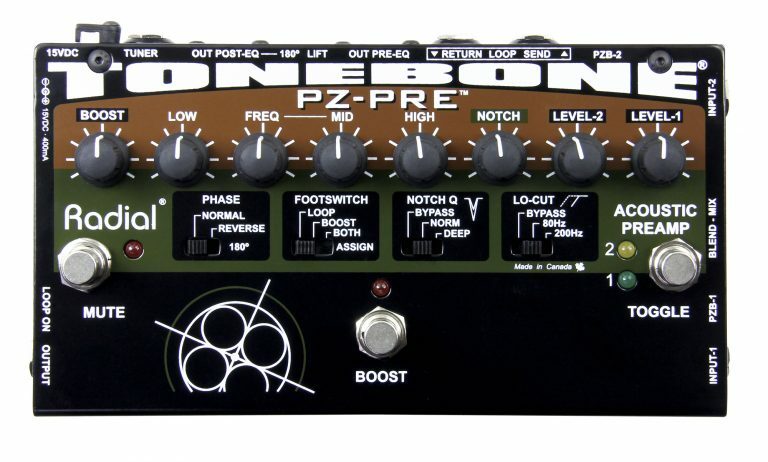 "The PZ-Pre's three-band tone control and notch filter, along with the low-cut switch, gave just enough flexibility to be useful, yet was still simple and straightforward enough to dial in a sound without having to tweak too much. 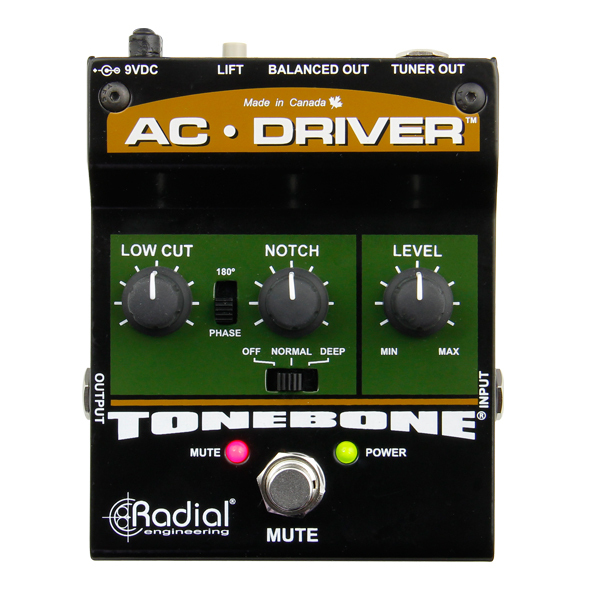 The voicing of the tone controls was musical, smooth and relatively quiet, without a lot of unwanted noise or phasing issues." 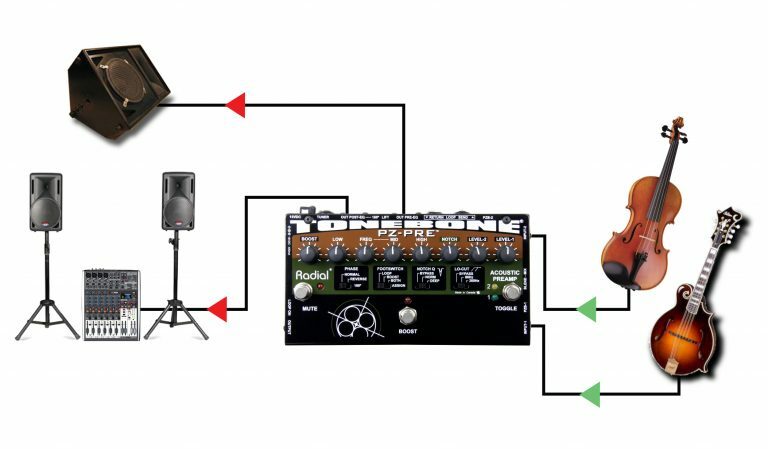 "I rely on my Radial PZ-Pre Acoustic pre amp and J48 DI for all live performances. 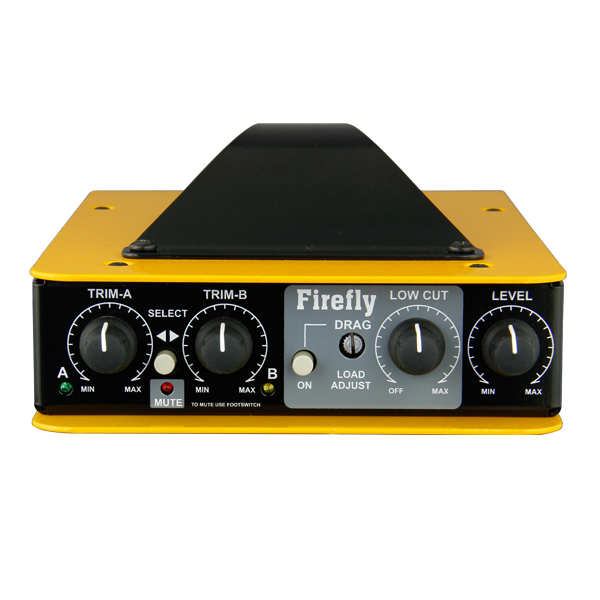 They maintain the natural acoustic sound of my guitars and the PZ-Pre gives me plenty of EQ when I need it."